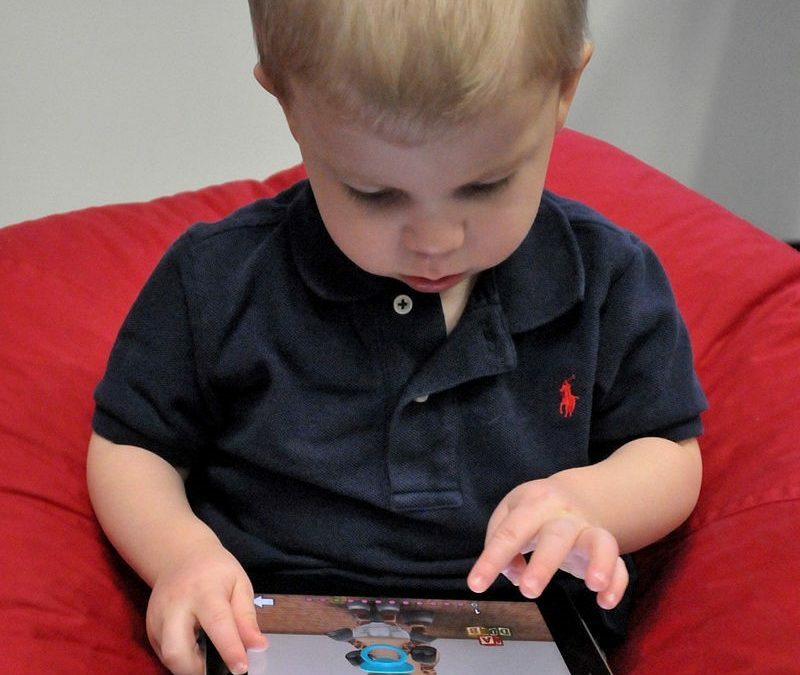 What age should children start using electronic devices? Screen time only stimulates vision and hearing, it has very limited tactile feedback and does nothing for taste or smell. This means it offers little to children under three, who learn better from full sensory experiences. Children learn from watching adults – if we don’t model good behaviour then they don’t learn how to manage their screen time. Despite the fact that many childcare specialists recommend not allowing children a smartphone or tablet until around 11 or 13 years of age, very few parents are able to withstand the pressure for that long, for good reasons. While parents have concerns about smartphones, such as sexting, ‘screen addiction’ and behavioural changes, giving a child a mobile also gives them a way to communicate with parents and nannies when circumstances change, encourages them to have social relationships with their peers and develops the all important screen skills that are likely to shape their future earning capacity. Supervision is the answer. Children as young as four can benefit from learning activities in a supervised environment – which means that a responsible adult will oversee the educational content, ensure that the material is age appropriate, and link screen learning to off-screen activity. For example, one of our nannies who looks after twin eight year olds, has created a ‘review’ process. Whatever the children watch, they review by writing their opinions on a white board in the kitchen and the best review at the end of the week wins a prize – a trip to the trampolines, visiting a favourite museum or going to the zoo. In another family, where children range from four to twelve in age, parents and nanny work together to plan positive learning – so one week screen time might be all about vehicles – including a family movie night featuring Cars or Chitty Chitty Bang Bang – and that week might culminate in a trip to the local Transport Museum. Being deeply involved in a child’s experience of electronic devices helps them balance screen time and the rest of life. TVs and computers should ideally be kept in communal areas and not taken to bedrooms, for example. Co-viewing, whether of an app or a TV programme, means asking your child questions about what they are watching, pointing out different aspects of the content and comparing this activity to previous ones. Such high level skills benefit comprehension and deepen intellectual appreciation. Not only that but limiting screen time can benefit your child’s health. A study that followed more than 5000 children found that more than two hours TV time a day increased the risk of raised blood pressure. It’s difficult to tell if this is causal or correlative (whether TV watching increases the risk, or whether those already with increased risk tend to watch more TV) but it’s a clear indicator that healthy kids have limited, high quality screen time, which is something we can all aim for. If you’ve enjoyed this Elite Nanny Company guide, why not check out our guide to nanny sharing?